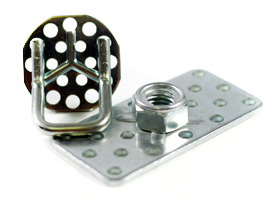 In addition to our standard range of popular bonding fasteners, we provide purpose-designed custom bonding fasteners for customers who have specific requirements which cannot be fulfilled from our standard range. 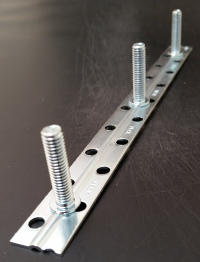 We also manufacture bespoke versions of big strip fastener assemblies, which consist of a 16mm wide perforated strip (with the length being specified by you) with one or more male or female fasteners welded to it (again, the choice of fastener and their placement is in accordance with your requirements). an example of a bespoke big strip fixing. 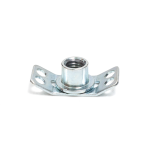 Please visit this page to see further examples or alternatively navigate through the Fastener Applications menu item above. You can always contact us now with your enquiry if you wish. Please contact us if you have a special application that you wish to discuss. Non-standard parts will involve minimum order quantities and lead times that will depend on product design. Purchase orders for special parts will be subject to agreement to a detailed drawing and Veck are pleased to offer this service to customers where required. 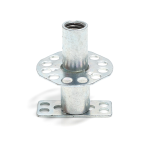 For examples of how our bespoke fasteners are sometimes used, please visit this page.